Smartphone industry is one of the fastest growing industries these days. With the Introduction of tablets, Google Android is gaining lot of popularity whereas the most used Symbian OS is getting behind in the race. If you are going to purchase Smartphone, you might be in dilemma, Symbian or Android. Brand is what a phone or anything can make it worth of its prize as we know Google is a bigger brand than Nokia . The development of Android is much more as compare to symbian, the number of application’s on Android market exceeds 100,000 mark whereas they say quantity does not matter we consider quality first. The notification feature of android is one of the good feature as on the top of the screen there stuck time, battery level, wi-fi etc so whether you receive a latest notification it will not interrupt your current actions. But in case of Symbian if you receive any new messages,email it will pop up and you have to take action of them first and then do your previous actions. One of the coolest feature of the smartphones is their ability to work with 3rd party applications, whether it is web browser, messaging applications. With symbian what ever is the default setting we have to use them for example :- suppose you installed opera for browsing but the default browser is not opera so whtever you open in the opera it will automatically move to default browser, but in case of Android you can change the default setting as you want. Android also have built in browser which is noticeably faster than that on the Symbian, it is easy to use and more smoother and accurate when clicking links. In that you can also bookmark the website you want and then click on the link. Another interesting feature is that when you buy an Android powered handset, then initial setup process ask you about google account if you log in with that than automatically all google mail, google talk, google calendar will also be copied into that device so no need to install them separately . In Case of symbian you have to install all these application’s separetly. Another great feature of android is onscreen Keyboard which provide easily access to touch. If You are in the browser than you can easily access to these buttons like ‘@’, .com, ‘/’ etc. IN symbian there are no shortcut keys for doing this and you have to do extra efforts for these characters. At the last I can say Android provide wide variety of applications as compare to symbian. Do tell us your views about it , What you like Symbian or Android? PC Keyboard And Mouse Android App Review – It Controls Everything! Folder Organizer Android App Review – Most Advance Folder Management! android is for the “go with the flow” headed persons (whatever currently/again pops “in” they pathetically welcome it). . . Symbian is for the “tech warriors”, it is still the sharpest sword you could carry in a journey to the intangible conquest. You must be living under a rock then. 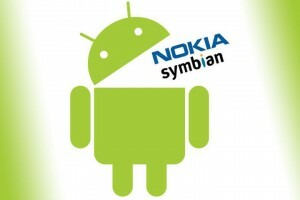 After I shifted to Android , I would never ever ever go back to old & boring Symbian. And not even recommend it to anyone. Thanks for your opinion, I will go for the same. Wow , Now i will leave my symbian……. I am using samsung galaxy pop from past 3 months and its going very smooth.i never ever faced hang problem, browsing is super fast in 2g network in 3g it’s beyond expectation. very law budget phone bu had most of features like latest OS of android 2.2 froyo.